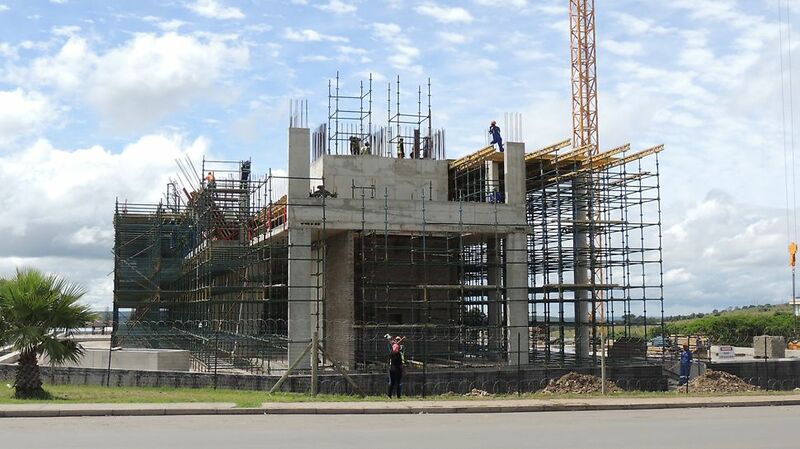 A new government office block is being constructed in Bisho, the capital of the Eastern Cape. Phase 1 is a 5-storey office block including basement parking. 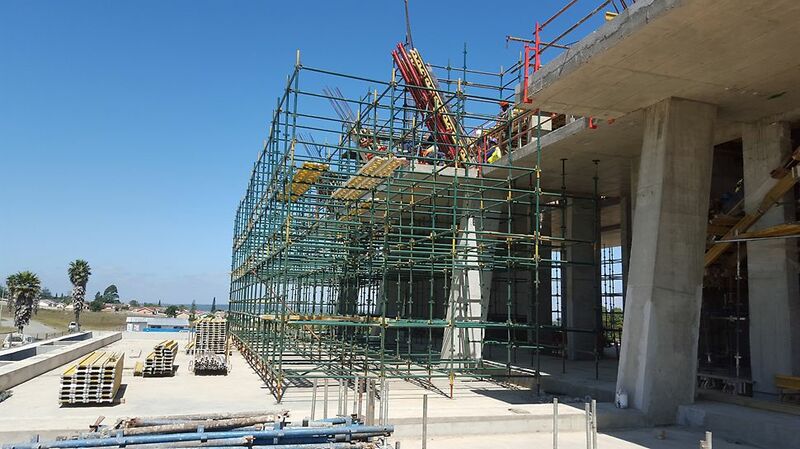 The unique building has cantilever slabs with a bigger cantilever per floor resulting in shoring from the ground level to the final floor roof slab. The cantilever slabs have special angled columns that will play a large role in uniqueness of this building. The PERI team were able to deliver the complex solution to support the special architectural features designed. The customer was impressed with the fast turn-around times and quality finishes. 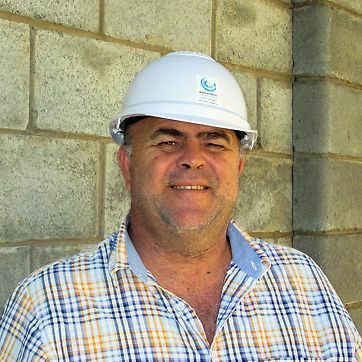 PERI has become a household name in the East London Construction industry. 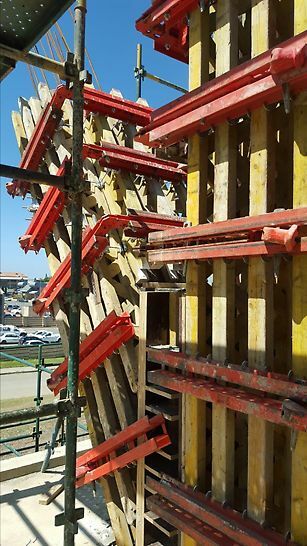 The retaining walls, lift shafts and shear walls were done using the DOMINO walling system. 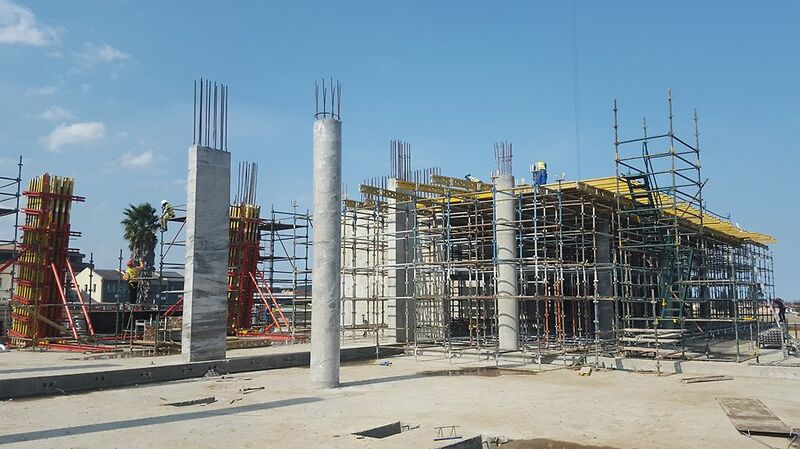 The columns were completed using the LICO and VARIO column formwork systems. PERI MULTIFLEX on the conventional QUICKSTAGE system were used for the drop heads. 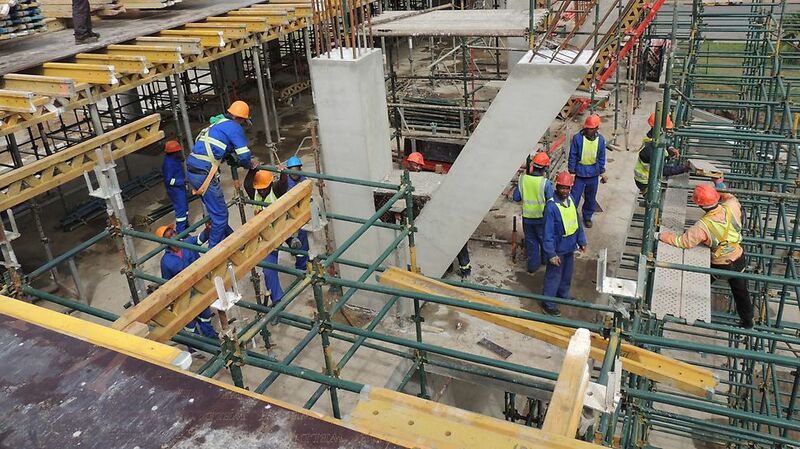 All the slabs were done using MULTIFLEX Girder Slab Formwork, with the combination of PEP Props and QUICKSTAGE. The cantilever slabs were shored with QUICKSTAGE and the rest of the slabs using PEP Props.